If you own a residential property and wish to sell it, then you should know that we buy houses in Houston, Texas. 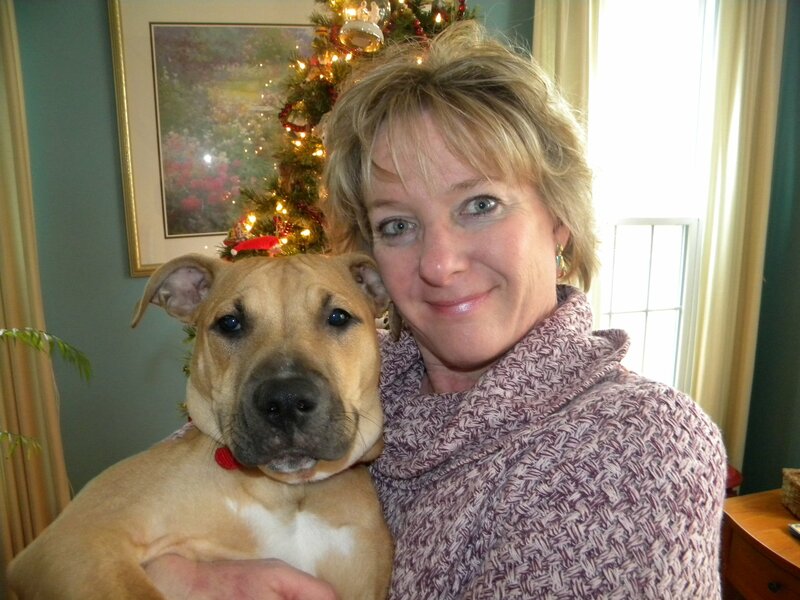 We are Dependable Homebuyers, a nationwide company dealing in all types of residential properties. 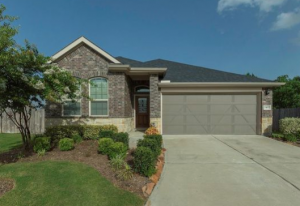 We buy houses in Houston and across the state of Texas. We have an active presence in many other states and our outreach is expanding with each passing day. We are the only buyer you would ever need as we would not only make you an offer in twenty four hours but actually complete the sale within seven business days. A majority of homeowners in Houston and across Texas have to invest several weeks to get one or a few interested homebuyers. This is regardless of whether or not there is a realtor involved in the process. Some realtors may be able to bring around a potential homebuyer in a week or two but it is quite rare. Only after considering several interested homebuyers would you be able to gauge an idea of how much your house is worth or the types of offers you will need to navigate. It may take a month for any substantial progress in the discussions and negotiations with an interested homebuyer. Before you know, the buyer may be looking elsewhere or may have already decided to buy another property. Many homeowners have to wait for several months and some wait for longer than a year to sell their house. Would you want to endure such delays? There is a realistic chance that your house may not sell. It could remain listed for sale for who knows how long. Give us a call at (713) 597-2991 today. to talk about your options. Many realtors convince homeowners to invest in renovation or remodeling, some kind of upgrades and the necessary repairs or replacements to facilitate the sale. Whenever a property sits on the market for several weeks or months, the obvious conclusion is that it would not sell. You may consider reducing the ask price. You may consider hiring another realtor. You may find different ways to advertise your property. In the end, all that would matter is whether or not you can sell the house. Since that may be elusive, many homeowners are indeed convinced that investing in the property to change something substantial would make the house more desirable for prospective homebuyers. In some cases, homebuyers will appreciate the renovation, remodeling, addition or upgrade. A swankier property with some state of the art features will have greater demand and acceptance. However, this may or may not reflect in the resulting sale. When you invest in your property, after having purchased it and paid off the mortgage, you would want a greater return on that investment. If the new investment on repairs, replacements, upgrades, renovation, remodeling or addition does not have any impact on the resale value, then the whole endeavor is futile and you would be only helping the realtor to earn a quick or easy commission while you bear the financial burden. You are also helping the homebuyer get a much better house with absolutely no rewards for you. You can say no to all such investments when you decide to sell your house to Dependable Homebuyers. We do not ask you to change anything and we do not need you to pay for anything when we buy houses in Houston, Texas. You would have to pay a hefty commission to a realtor. Most realtors will also have a full suite of services including marketing or advertising, listing, conveyance, legal and financial services among others. No realtor pays for anything to facilitate a sale from their own pocket. All realtors pass on such expenses to the homeowner. The homebuyer does not have to bear any such expenses, whether it is the appraisal or the property inspection, the listing or the legal processes to have the ownership and registration details vetted, along with the building codes thereby establishing the approval of the blueprint of the property. You should not agree to pay for any such processes, from appraisals to property inspections, offline or online advertisements and services of a realtor that you would not have any way of verifying or what may not have any utility and impact on the sale. Give us a call at (713) 597-2991 today! It is futile to pay hefty commissions to realtors when they are always distracted, trying to redirect interested homebuyers to properties that enable them to make the most money, paying less attention to properties that are not in the most desirable condition and constantly influencing the homeowner to invest in something or the other to make the sale easier. A homeowner should not have to make the life of a realtor easier. It is the job of the realtor to sell a property. 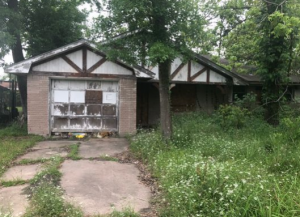 Unfortunately, most realtors would not even want to promote a property that is not the prettiest in a neighborhood or is set in one of the prized locations in Houston. You can say no to all such expenses, commissions and painstakingly tedious processes by selling your house directly to Dependable Homebuyers. We do not charge any fees, there are no commissions and you do not have to pay for any processes. All the processes that we undertake are paid for by us. 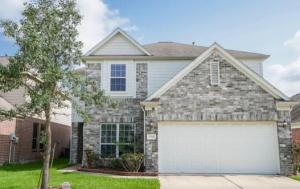 We Buy Houses in Houston, Texas! We are not realtors and hence we do not need to find homebuyers. We at Dependable Homebuyers do not have to list your property anywhere, online or offline. We do not have to promote or advertise the sale of your property. We are the buyer. We are not facilitating the sale. You would not deal with any middlemen or broker. There is no real estate agent, property dealer, bank or any investor in the process. You will deal directly with Dependable Homebuyers. 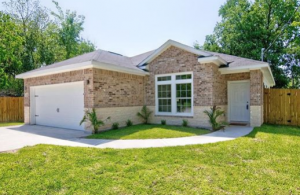 If you have a property to sell, then you contact us directly as we buy houses in Houston, Texas. We are not your average homebuyer who would be looking for a dream house. Most homebuyers are looking for an ideal property. They would have an extremely subjective assessment of your house. Your property may or may not be in an ideal condition. Neither will matter because the preferences of an ordinary homebuyer would be completely personal. We do not have such personal preferences and hence there is no room for prejudices. Our assessment of your house is completely objective. We look at facts, technicalities, the fair value of your property and accordingly present our purchase offer. We do not imagine if the house would be our dream home. Unlike realtors and ordinary homebuyers, we are not looking for the prettiest house in your neighborhood. We are not limited to the most sought after locations or neighborhoods across Houston and the suburbs. An ordinary homebuyer will only buy one house. A realtor doesn’t always affect the sale of a house, at times wielding no influence at all. We at Dependable Homebuyers are buying multiple houses all the time. Even if we like one property more than another, we can buy both and we do that almost always. We are not at the disposal of homebuyers like realtors. We are the decisive party in the transaction. You would not have to deal with any ambiguity as to whether or not we are interested. 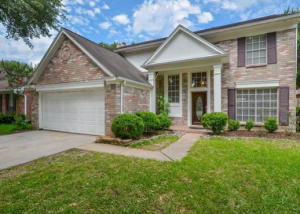 We buy houses in Houston, Texas. We will express our intent to purchase through our upfront offer and we will complete the sale in a quick span of time. Only a few homeowners would be lucky enough to have a few interested homebuyers in a week or two. Even if you manage to get some homebuyers to agree with your ask price, you may get an offer only after a couple weeks, perhaps in a month from listing your home for sale. It may take another few more weeks before the homebuyer would be in a position to actually buy the house. Before you know it, you would be investing several months and in the end the homebuyer may turn around and buy some other property. There is always ample uncertainty when you take the traditional route to sell your house. None of these uncertainties are relevant when you sell your house to Dependable Homebuyers. We have a standard practice across all states where we operate and it applies to when we buy houses in Houston, Texas. We shall present a purchase offer to you in twenty four hours! We have the infrastructure, resources and staff to facilitate all the research and fact-finding exercises that are necessary to get the fair value of any type of residential property in the city and anywhere in the state. After we have assessed the value, we will make a reasonable offer. You can consider our offer for as long as you need, accept it or decline it. Should you accept it, we will set the ball in motion and shall complete the sale in seven business days. We usually take fewer days to close the deal and complete the transaction. You will have CASH in your bank account by the end of the seventh business day or before. We will make an all CASH offer! Dependable Homebuyers is not obsessed with the swankiest properties in the city or anywhere in the state. A property in its ideal condition will always be more desirable. It would be in greater demand among realtors and homebuyers. It will also interest us and its fair value will be determined accordingly. However, if a property is in a poor condition or a not so pleasant state, then realtors and homebuyers will show little interest. Such properties often go unrepresented and the owners fail to sell them owing to lack of option. We at Dependable Homebuyers do not walk away from such properties. We assess the property, assess its fair value and make an offer. We will make an offer within the same promised twenty four hours, regardless of the type of property and the condition it is in. Our standard practice does not change when we buy houses in Houston, Texas. It is the same for every property. We do not take advantage of properties that are not in their best condition. We would still offer a fair value. Our offer can be checked by property owners. A quick comparison with other propositions will show how fair our offers are. As a company, we do not have any preferences for certain types of properties. We also do not have any criteria pertaining to the types of problems that a property may have. Whether a problem is obvious or one is subtle and perhaps concealed, we would not get scared of investing and you will have an offer in twenty four hours. 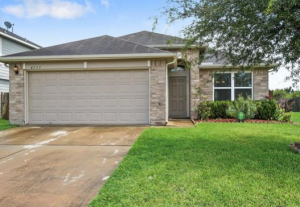 We make a straightforward offer when we buy houses in Houston, Texas. There is no sugarcoating, there are no false promises or unrealistic hopes, there is no ambiguity or uncertainty, there are no third parties or any indecisiveness. We are the buyers and we use our own capital to fund our purchases. No third party can influence our decision. We are not at the mercy of banks or investors to finance our ventures. You would be dealing with no one but official representatives of Dependable Homebuyers. 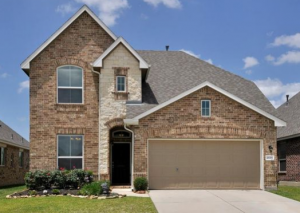 You will be selling your house directly to us when we buy houses in Houston, Texas. All you have to do is call us and express your intent to sell your house. We will have an executive visit your home. We would conduct an inspection and there is no expense for you to bear for such processes. Our backend research team will find out everything about your property that we should be aware of. We take care of all legal and financial formalities. There is no red tape, no middleman, no third party and no external influencing factor. 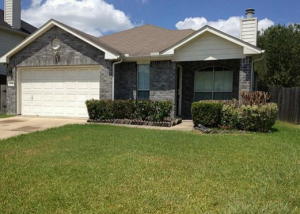 When we buy houses in Houston, Texas, it is a direct purchase from the owner and a swift sale.